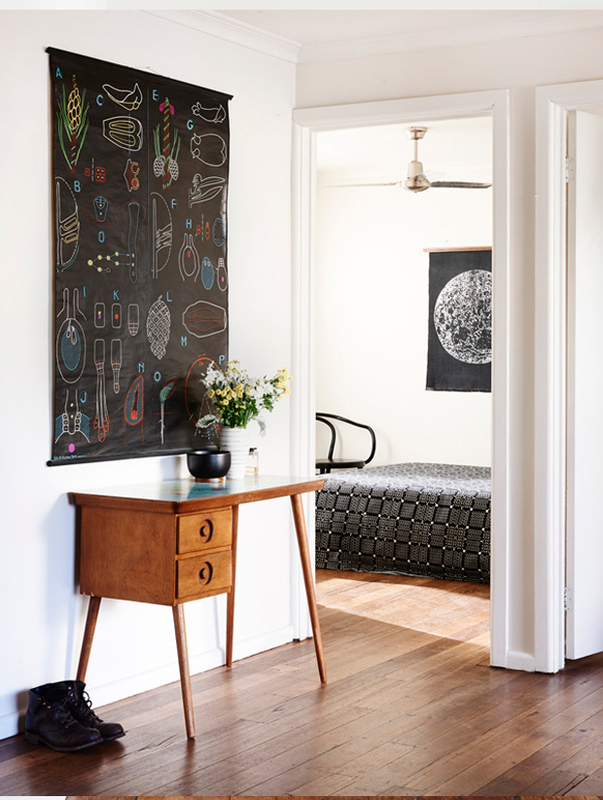 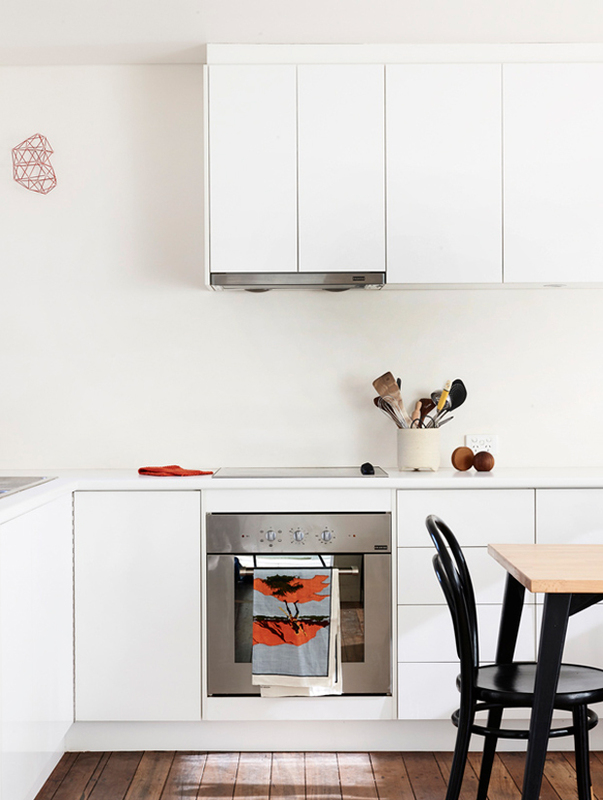 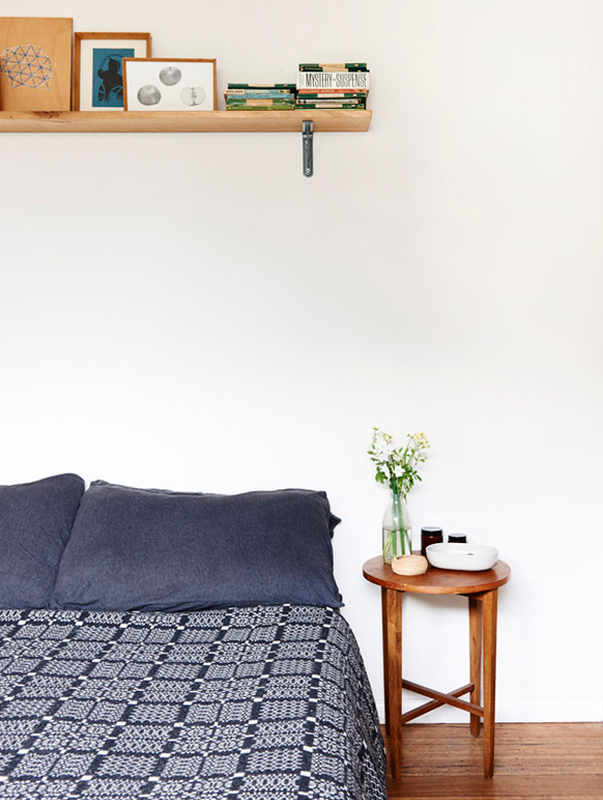 This pretty place belongs to graphic designer Suzy Tuxen and design director Shane Loorham. 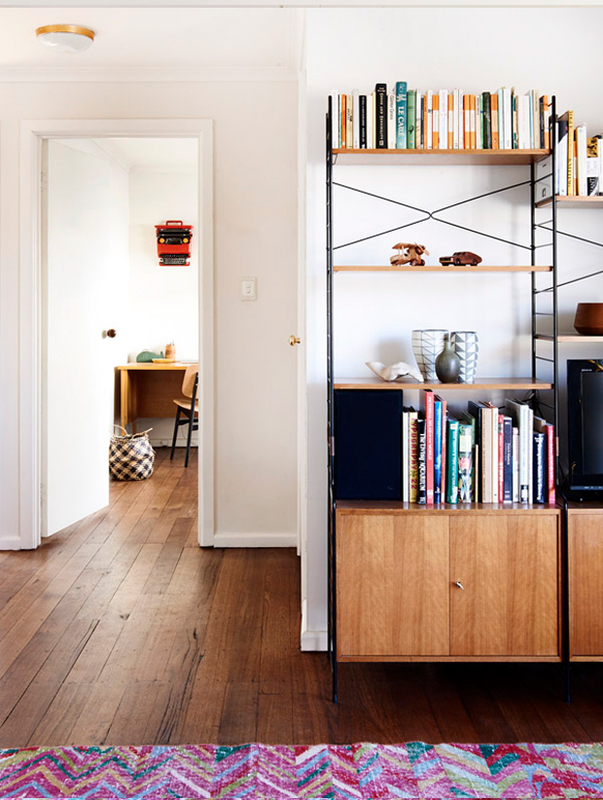 I like the simple and elegant approach here, with the rich use of mid century modern furniture and decor. 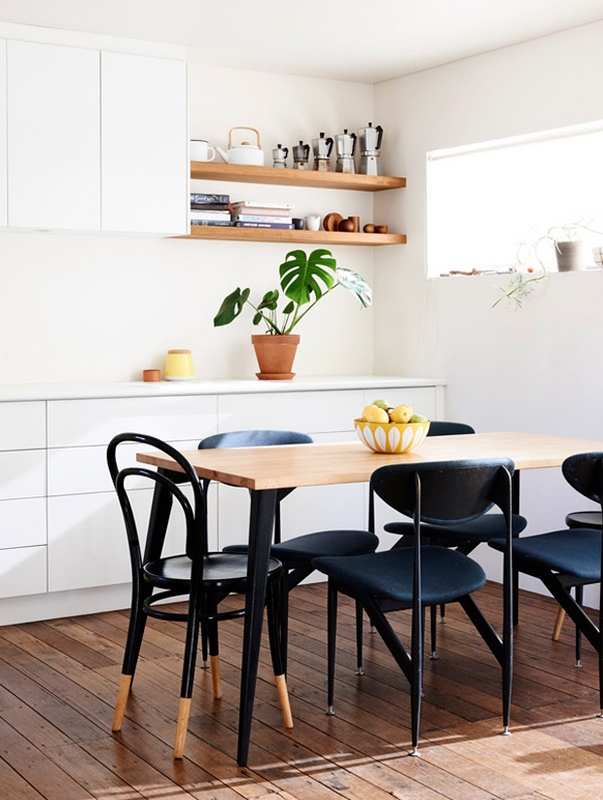 Good example is the clean, minimalist kitchen with a nice set of retro chairs and a beautiful yellow Cathrineholm bowl on the dining table. 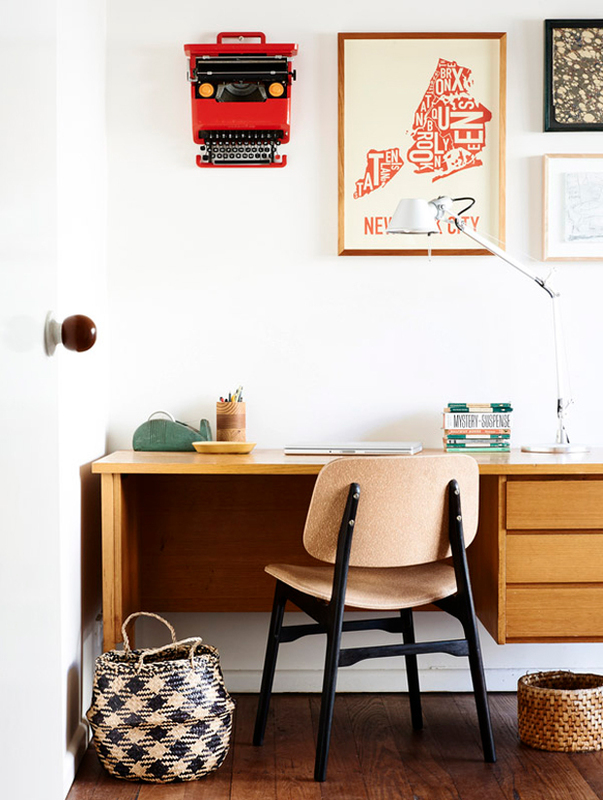 Another cool place is the area with a small writing desk where the classic Olivetti Valentine typewriter is hanging on the wall as a part of the wall art. 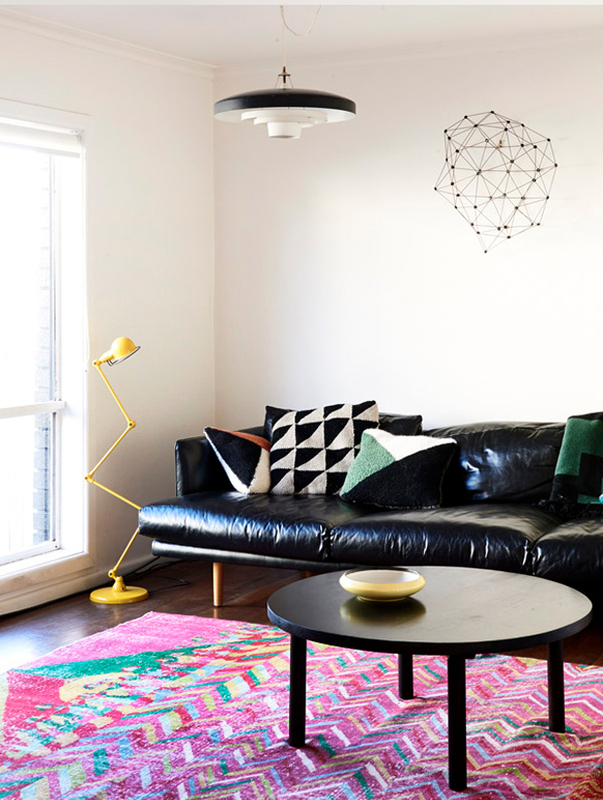 You may also notice a nice selection of various textiles with geometric patterns around the place, it helps the overall look a lot.